Google+ Consumer Psyche: Take it back! Few days back I found this product on Flipkart and ordered it on their site. Let me tell you this. I am a frequent customer on their website and I love shopping there as it is simple and hassle-free. This one incident proved to be otherwise. So after I ordered the product, it came on the last day of the expected dates and within a few minutes I packed it back as I was not happy with the quality of the product that was delivered wasn't up to the quality it was shown on their listing online. So I called customer care and asked them to pick it back up and found that they don't do that! They would do that only if the product is broken and not in usable condition. Now you should have seen how upset I had become and even after patiently explaining to the agent to ask someone above him to check if it is possible but he was strictly reading from the rule book. So I had to search their policies and finally reach out to their Facebook page and post about it. 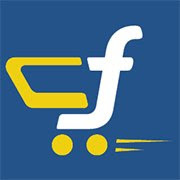 Surprisingly for Flipkart, I got a call in 15 mins and after listening to the problem they said they would send someone to pick it up. Sure enough there was someone to pick it up from me a couple of days later and the amount was returned. my faith in Flipkart was restored. Is this the way you solve problems? Is this how you want to be known? Do you want me to feel that you are not empowering your front end staff? Is it true that you are showcasing a simple, yet fragile system when the most irate and aggressive client is the first one to get his queries/demands met? If that is the case, I am sorry for you. You aren't in the right track. Have you had an experience like this? Who won? The rule or customer service? Good if you share what is text that u have shared with flipkart, so that it would be useful to others as well.